I’m a passionate and positive sound recordist with a sharp ear dedicated to getting the best possible sound with technical proficiency. I am calm, level-headed and have the technical ability and versatility to adapt quickly to changing environments. 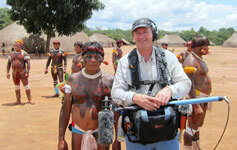 I started working as a sound recordist in 1993. 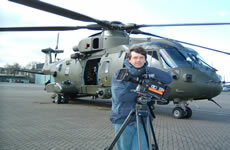 My early work was on environmental documentaries, actuality and corporate production. Then, in 1994, I achieved a milestone in my career by covering the post-apartheid elections in South Africa for Sky News. Being involved in such a positive and peaceful moment in South African history further solidified my passion for this career. The elections opened many doors for me and in 1995, I set myself up as a full-time freelance sound recordist. I worked on several local and international productions in the film industry as a boom operator to broaden my experience. 24 years on, I spend a lot of my time on documentary productions, although I still work in other arenas. This has taken me all over the world, working for the major broadcasting channels in over 30 countries and exploring a diverse range of subjects. 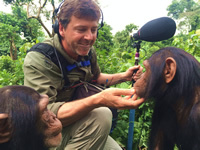 Being a sound recordist allows me to feed my love of audio and satisfy my innate passion for adventure. Travelling the globe has taught me to carry an up-to-date quiver of pro equipment that allows me to travel with the minimum of fuss. "The best soundman, fellow traveller & all round good guy you could wish to meet! Thanks for fantastic work and terrific support." "It was a delight to work with you. I felt totally confident that you were getting the best sound we could hope for (given the limitations of the shoot). You were calm and collected at all times - and your advice and suggestions were invaluable. On top of that, you were a great guy to hang out with." 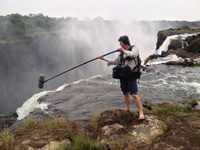 "Seb is always my first choice as a sound recordist in Southern Africa. He will always perform in the toughest of situations. He's just as happy to work in the bush, in the desert or in the City. Seb is a great team player and presenters love him. I will be working with Seb again and again." “… Despite the incredibly difficult working conditions in Mali and Egypt your sound recording was brilliant. We so appreciate having someone with your enthusiasm, energy and experience. "Sebastian is a huge asset on our shoots. He is such a pleasure to have around and knows a lot about a lot, was super valuable and willing to help in every way - above and beyond the call of duty. I will always REALLY hope for Seb's availability on every location shoot I have as he was a real professional, a lot of fun and has a really big heart. Thank you Seb!"